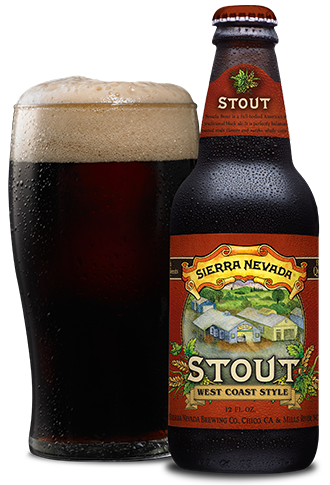 Stout | Sierra Nevada Brewing Co.
Before Sierra Nevada was a reality, our founders brewed beer at home and dreamed of building a brewery one day. Back then, they brewed the beers they wanted to drink—bold and full of flavor. Stouts had always been a favorite, so when we needed a big and rich beer to test out the brewing system at our fledgling brewery, stout was the obvious choice. Thirty years later, not much has changed. We’re still brewing the beers we want to drink and our classic Stout is the same as it’s ever been—big, rich, bold, black as night and filled with the wild-eyed passion of which dreams are made. 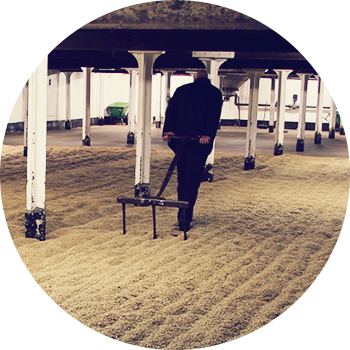 While the exact origins of porter are hazy, the development of stout is more straightforward. 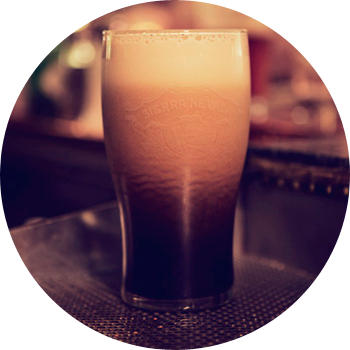 By the 1700s, bolder, high-alcohol versions of any style of beer were referred to as “stout” or strong. By then, porter was far and away the most popular beer style in the British Isles, and clever breweries began advertising the stronger versions of their beers as “stout porter.” By the late 1800s, regular porters had fallen out of favor and stout porter, or simply stout, took their place. There are many different varieties of stout ranging from the light-bodied, low-alcohol Dry Irish Stout to the viscous, rich and strong Imperial Stout. Worldwide, Americans have something of an outsized reputation. Bold, brash and brazen. To some, that boldness is perceived as arrogance, but for us it’s just daring spirit and a thirst for adventure. The term “American” in brewing is not necessarily a sign of origin, but rather a brewing ethos and homage to that daring nature we love so much. In the early days of the craft brewing movement, there were far fewer beer styles and what was on record largely comprised the historical ales of the UK and the lagers of Germany. As American brewers began experimenting with homegrown ingredients and their own techniques, they inadvertently created beer so unique it defied conventional categories. Instead of a traditional pale ale, there all of a sudden was American pale ale—a new, rowdy hybrid of the older beer, intense with hop flavor and aroma. American-style beer is shorthand for the kind of brewing we do at Sierra Nevada—a reference to the use of a clean, crisp and neutral yeast, and a healthy dose of hops quite appropriate for the adventurer in us all.